In case your child ever breaks a compact fluorescent bulb and it shatters in thousands of pieces, DO NOT VACUUM! like we did. Instead, calmly take your children and pets out of the room and wait 15 minutes, preferably with the window open. Then, assuming you can secure your kids, return to the room and clean up the pieces using a piece of cardboard and a damp rag. Use sticky tape such as duct tape to get the smallest bits. I absolutely hate that this happened today, and I hate that I was such a good little environmentalist that I replaced all the nice, friendly incandescent bulbs with harsh Soviet era CFBs. Is it really worth risking mercury poisoning to save the planet? Well….This is exactly the kind of moral conundrum we parents are in, constantly. Borrowing from Peter to pay Paul, as it were. I used to make my own yogurt; now I save time but spend money and create garbage by buying it (Side Hill Farms yogurt, though, which is infinitely better than anything I’ve ever made. A local company, too, in Ashfield MA. Try it if you live in New England! YUM!!) As I posted eons ago, I would have loved to walk to the co-op to get my groceries, but when I tried it once with my two littlies, I almost died of a heart attack (the co-op is on a pretty scary artery; not to mention it’s hard to load up on groceries when most of the real estate of your stroller is taken up with children.) So now we drive. And usually, we drive at least part way to our local organic farm (Town Farm in Northampton which is on the complete opposite side of town from us). So we park in town and walk the rest of the way. 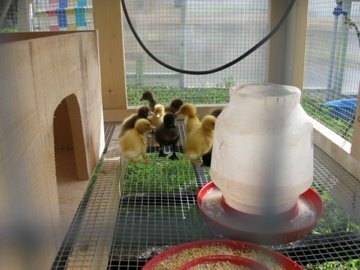 At Town Farm, there are goats, chickens and as of today, baby ducks. Elle and Jay were entranced. Our friend Liz said she liked the yellow ones best. Elle liked the black ones, and I liked the ones with light brown feathers and black beaks. Not sure which ones Jay liked best, but he seemed to say, “Duck!” Elle and I are constantly on the lookout for Jay’s first word. Sometimes it is “Dog,” sometimes, “Dada” but always it is some version of “Duh.” So who knows? Maybe it really was “Duck” today. On our way back from the farm, in order to avoid traffic, I took the sneaky way across Main Street through the parking lot behind the Calvin Theatre. There was a gigantic bronze tour bus. Idly, I wondered who was playing, and as soon as I remembered, I saw Amy Ray come out from around the front of the bus. I rolled down my window. “Oh, hey,” she said. She’s extra friendly and social. I have met her several times in the past fifteen years and she has always been warm and supportive and engaging. At South By Southwest, for example, she told me to go to Thaiphoon for Thai food, and of course, she was right. “I so wanted to come see you tonight, but…” and I gestured to the back seat towards my kids––which is only metaphorically true. 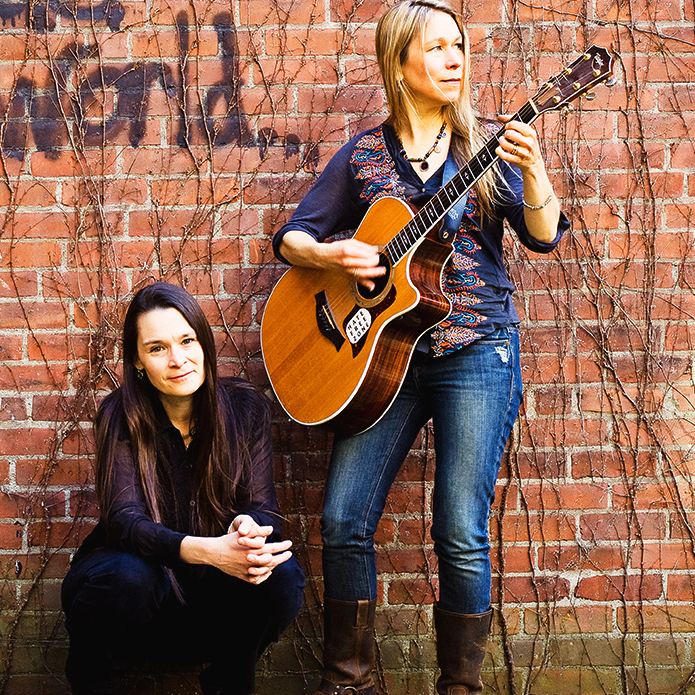 I actually have a writing group to lead tonight, but one could argue that in a broader view, I lead writing groups instead of attending folk shows with legendary duos because of my kids. “I can see why you aren’t coming tonight,” she chuckled, waving at Elle and Jay. I guess this surprises me a little. I remember in 2000 visiting my friend Melissa in Mill Valley, CA. She was pregnant with her first child and glowing with anticipated glory. She asked me if I wanted to have kids. 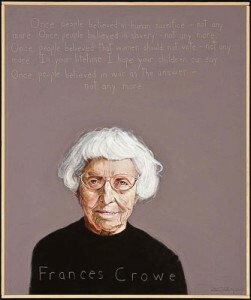 Frances Crowe, amazing local activist and legend in her time, came to preach at my church last week. I got to do the music, and I was told ahead of time to focus on peace songs. So I did nothing but peace songs: “Down By the Riverside,” “Imagine,” “S/He’s Got the Whole World in His/Her Hands,” “Redemption Song” and my new favorite, “May There Always Be Sunshine,” a Russian kids’ song that we have been doing in HooteNanny. Katryna figured out the ASL movements to go with it, so I taught it to the kids at my church (and the congregation) technically in three languages. Someone in the congregation corrected one of my signs: I’d been doing “I” instead of “me.” “I” in ASL is a fist to the chest with the pinky up, as in ASL alphabet “i” while “me” is pinky down, a closed fist. Perfect. That was me in the ’90s, striving to get my music “out there”–but of course, I couldn’t because I was close-fisted; it was all about me. That day in church, sitting at the feet of Frances Crowe (who, among other amazing feats, once put up an antenna in her backyard so that the town could get Democracy Now) I got to be a part of a whole, a big river of music that came before me, includes me and will keep on flowing downstream into the ocean, up into the rainclouds and back again. I’ll take that. hi! i really liked your post, especially about your run-in with amy ray. i run an a-ray fansite and would like to use your snippet on my blog. is this ok with you — credit given of course, with a link back to your site.